Tired of buying protein bars from the store and shelling out all that cash for them? Then make protein bars at home! Here are 11 popular protein bar recipes that I’ve posted on the blog over the years — they’re all no-bake, ultra fudgy, and perfectly sweet. You’d never know they’re refined sugar free, gluten free, vegan, and all natural. 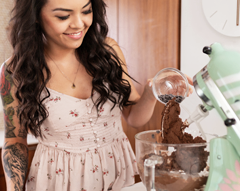 Yup, that means there are absolutely no preservatives, high-fructose corn syrup, or artificial flavorings in these homemade protein bar recipes. 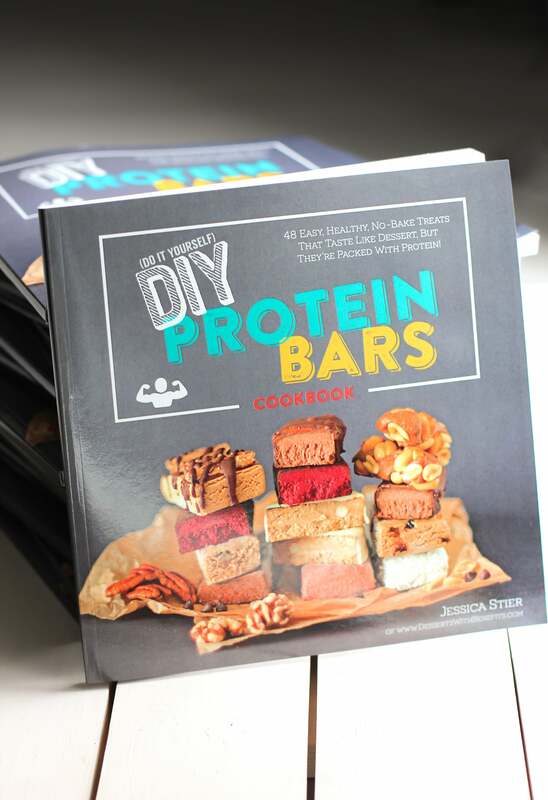 This is the perfect time to announce that the DIY Protein Bars Cookbook is officially PUBLISHED! 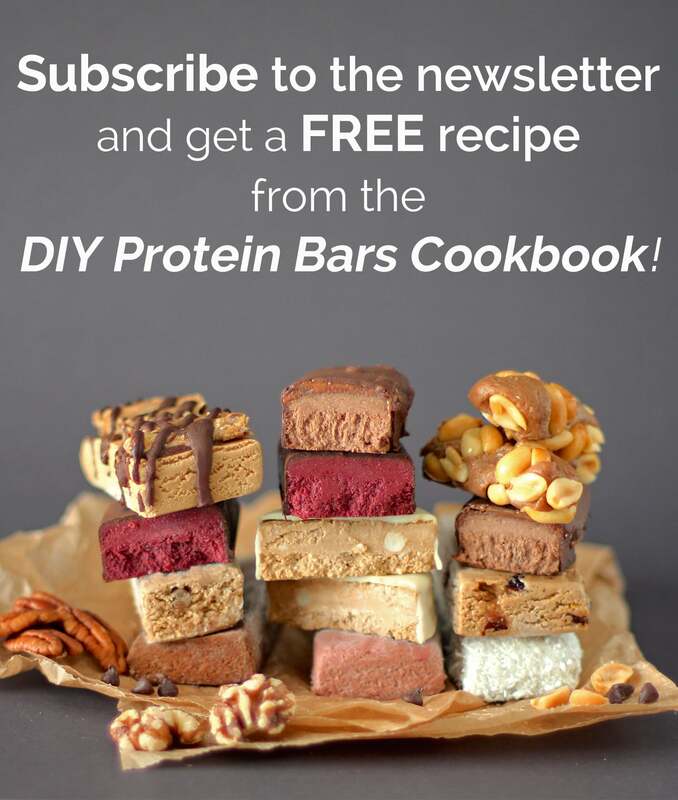 The DIY Protein Bars Cookbook is a collection of 48 easy, healthy no-bake protein bar recipes! 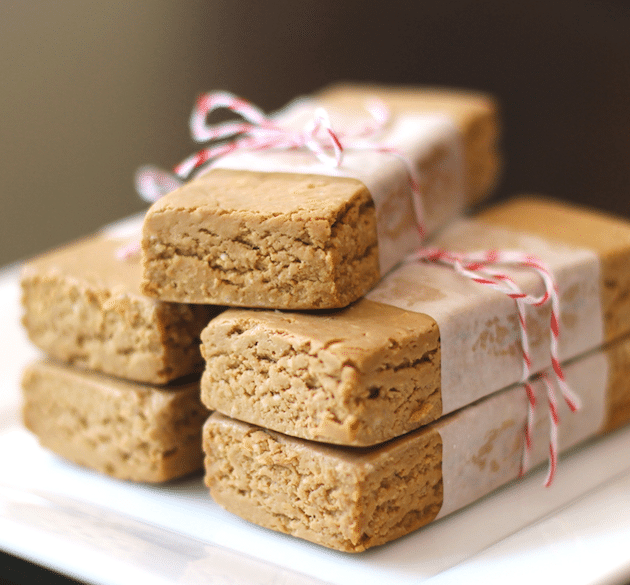 Words cannot even describe how amazing these homemade protein bars are! And there are options for everyone — gluten free protein bars, vegan protein bars, low carb protein bars, etc. Each protein bar recipe is not only healthier than storebought, but they’re cheaper too. Yes, for real. I even did a cost comparison analysis in the book — each bar costs just a little over $1 to make (anything around $1.12 to be exact! ), which means you can save up to $2.07 PER protein bar by going the DIY route. Anyways, enough talk. Here are all the protein bar recipes I’ve posted to the blog over the years. These are literally like brownies — fudgy, sweet, chocolatey… except they don’t require any baking! Oh, and they’re actually good for you too. 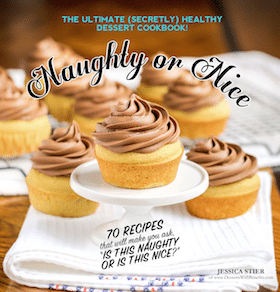 This post also includes a FREE recipe printable, plus a cooking video showing you how to make these yourself! I also based these Black Velvet DIY Protein Bars off this recipe. Talk. About. Fudgy. These Peanut Butter DIY Protein Bars are packed with peanut butter flavor, kind of like, you know… peanut butter out of the jar? Don’t judge me! We’ve allll been there. Be sure to check out my Peanut Butter & Jelly DIY Protein Bars too! Are you craving brownies? Yes? Okay, me too. These Triple Chocolate Fudge Protein Brownies will satisfy your every chocolate/sugar/dessert/brownie craving and more. They’ll pretty much restore your faith in everything. 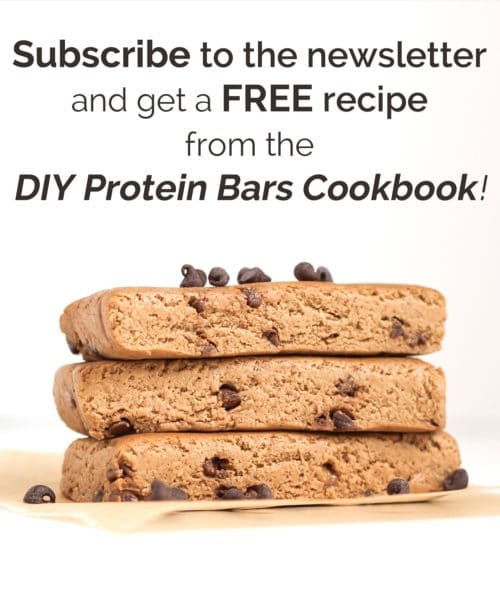 Cookie Dough DIY Protein Bars?!? Hell yes. I’ll take seven. These are fudgy, sweet, buttery and rich, just like cookie dough, but without the white flour, white sugar, butter, and eggs. There’s really nothing better than protein cookie dough guys. Y’all need this in yo life. Ben & Jerry’s Chubby Hubby Ice Cream is loved by all. 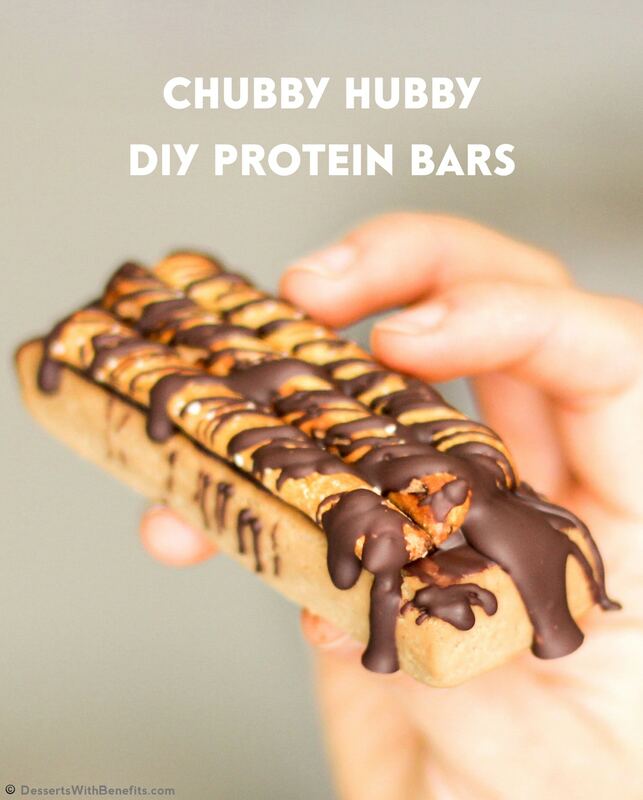 And so are these Chubby Hubby DIY Protein Bars. They’re packed with peanut butter, pretzels and chocolate chips (and none of the white sugar, high-fructose corn syrup, preservatives and artificial flavorings). Wanna feel like royalty? Make these Millionaire’s DIY Protein Bars. They have a rich, almond butter fudge protein base, a layer of liquid gold caramel, and a thick shell of decadent dark chocolate. That’s as rich as things can get. Protein-packed candy bars? Um, I’ll take seven of these as well. And to-go, please. Because I’m not sharing. Cinnamon spice and everything nice! Wait, no, it’s cinnamon spice and everything nice, healthy, nutritious and delicious. And packed with protein, of course! Red Velvet. Fudge. Protein Bars. If you like matcha, then these are for you. 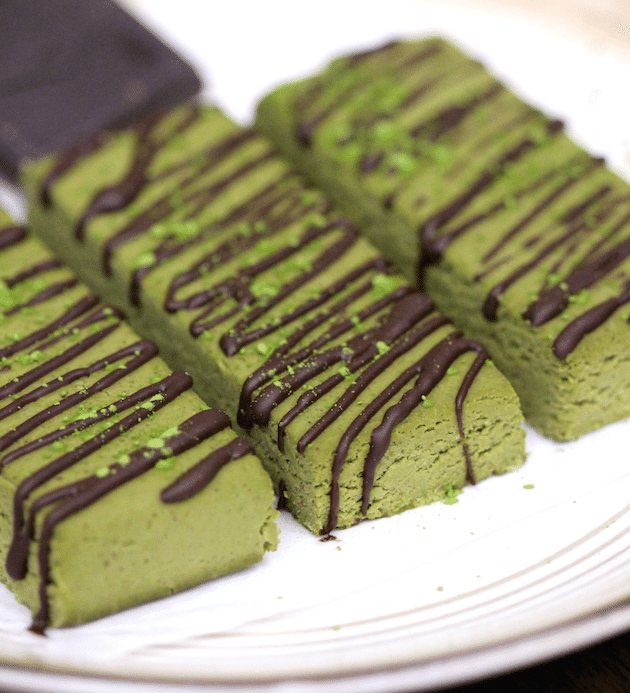 It’s got all the flavor of a cup of matcha green tea, just in the form of a fudgy protein bar! Do you like/love-so-much-you-want-to-marry Nutella? Oh my gosh! Me too. 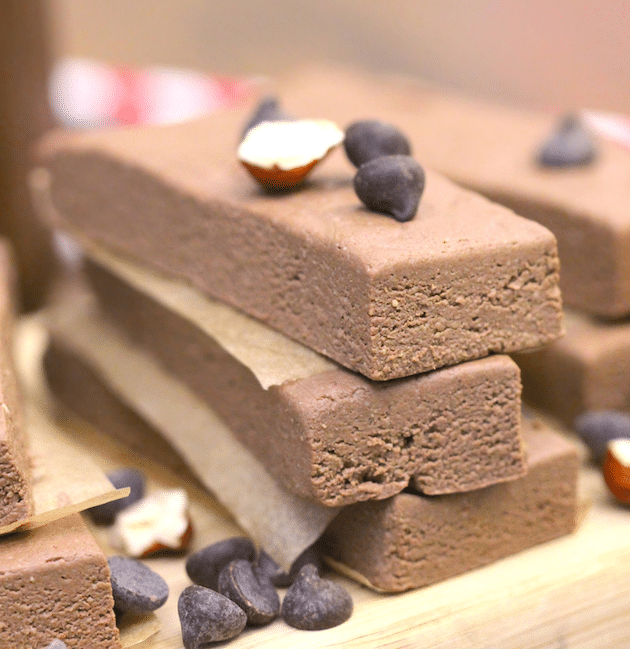 That’s why these Nutella DIY Protein Bars are one of the top 10 recipes on this blog! So, um… are you drooling? Because I’m drooling. Like, a lot. Thank goodness I have a stash (aka a lifetime supply) of protein bars in my freezer. Which is actually kinda dangerous because my freezer is about 15 feet away from me… hold on, I’ll be right back. 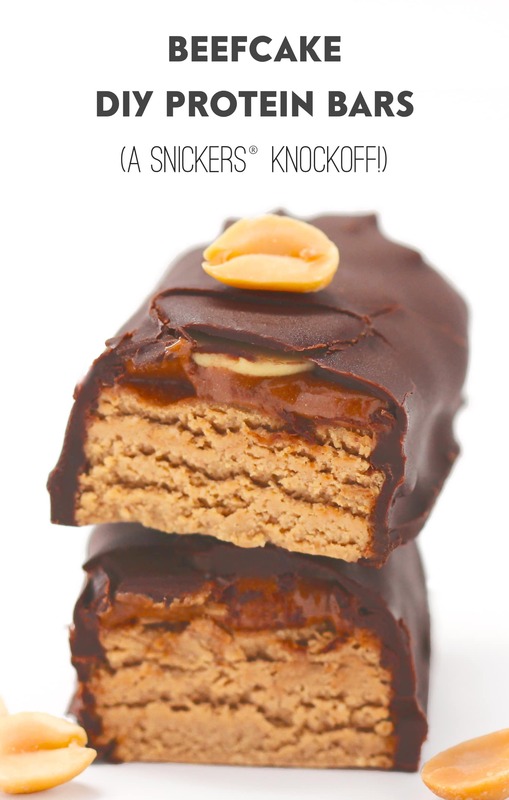 Anyways, I hope you enjoyed this protein bar recipe roundup! 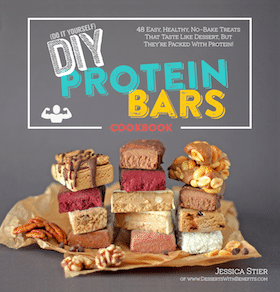 If you’re a protein bar addict (like me), then I think you’ll fall in love with the DIY Protein Bars Cookbook.